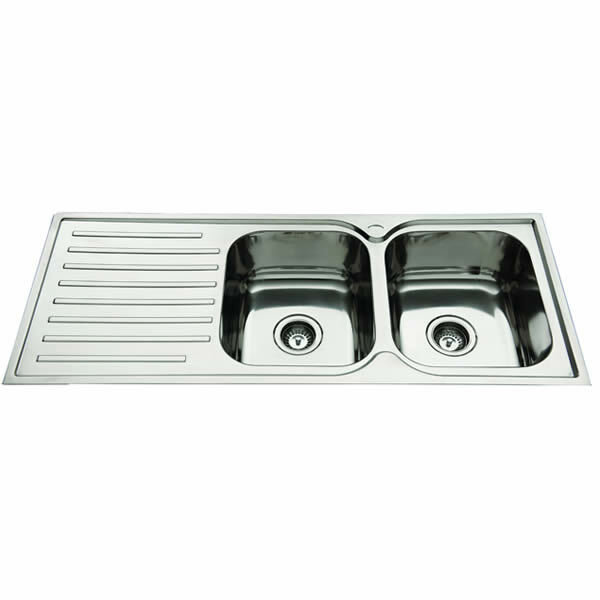 The Squareline 1180 Stainless Steel Sink. 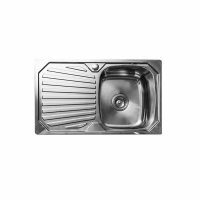 Give your kitchen a practical and a stylish facelift with the Squareline 1180 Kitchen Sink offered by Everhard. Featuring elegant looks, this kitchen sink exhibits 90 degree corners with straight, sleek lines. The Squareline 1180 comes equipped with two 22L stainless steel bowls and a single drainer. It has been skilfully designed to complement any existing kitchen cupboards, drawers and cabinetry. 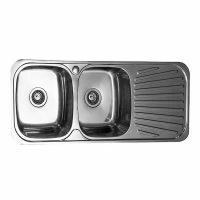 This double-bowl kitchen sink measures 1180x480x180mm in size. It also includes two 90mm chrome basket units which are suitable for garbage waste disposal which makes it highly practical as well. Thanks to clever design, this kitchen sink is incredibly easy to clean as well to install. As a sign of quality, the Squareline 1180 Kitchen Sink is manufactured using 304 grade stainless steel (0.8mm thick). It is sturdy and robust and will therefore easily offer you many years of service. To support this, Everhard offers an impressive 25 year guarantee on the stainless steel bowls and a 1 year guarantee on all plugs, wastes and accessories. Make a style statement in your kitchen with this practical kitchen Sink. 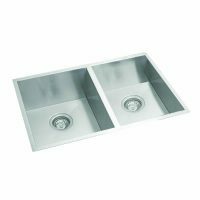 Buy the Squareline 1180 Kitchen Sink at an unmatched price – only from Ross’s Discount Home Centre!